Our Company was established in 1998 as an innovative and technological enterprise specializing in the design and manufature of High-Precision Machine Tool and other High Tech Bearings for a wide variety of applications. 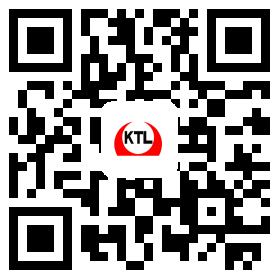 Extensive Research and Development is undertaken to constantly improve the Performance of our products and Introduce New Products to the existing Extensive Range of Bearings from KTL.We specialize in the manufacture and supply of HIGH QUALITY,HIGH PRECISION INDUSTRIAL BEARINGS from Class P6, P5, SP, and P4 up to P2. Sizes range from a minimum internal diameter of 20 mm to a max external diameter of 1600mm. The precison of such bearing can reach P4 and P2 and Speed limit dmn value above 1.5×106mm〃r/min. processing speed for CNC Machine tool. 6μm,raceway processing precision in the nut C4. above 2000,000/km and reliability 99%. rail which reduced operating cost,easily change and reach international level. 12000r/min,Insulation resistance value above 500MΩ and life above 1200,000/km. 4~6 times under the efficient hardness layer depth and life 3000h.